Many people have a landscape in their premises. They are interested to do gardening in that particular areas and people are more interested in gardening. There are more companies who are coming to aid this gardening. 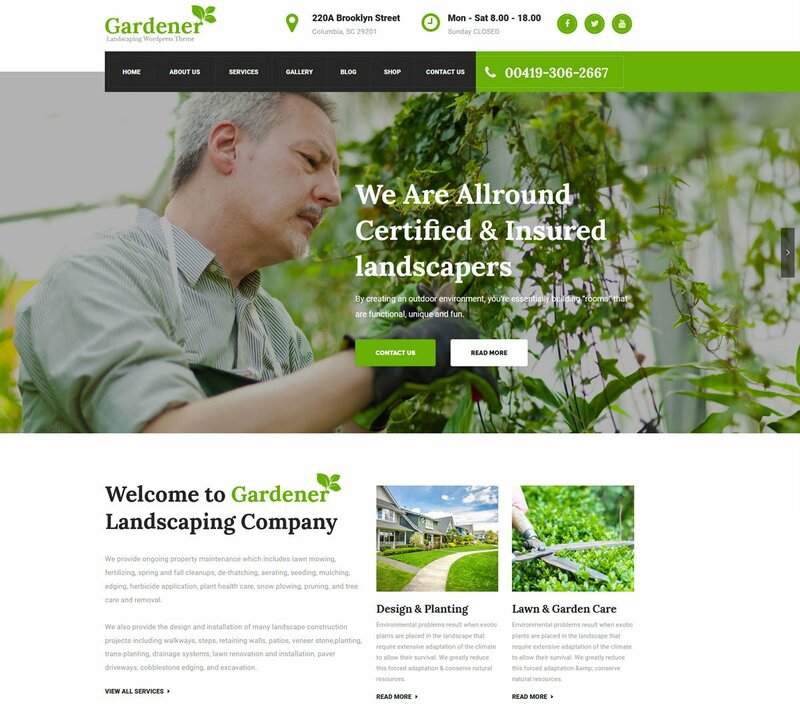 Therefore the companies are need best Gardening Landscaping WordPress Theme. Because the demand of WordPress theme is increasing and it is more user friendly. This blog try to solve your problem in a best way and try to give best satisfaction through a good suggestion. 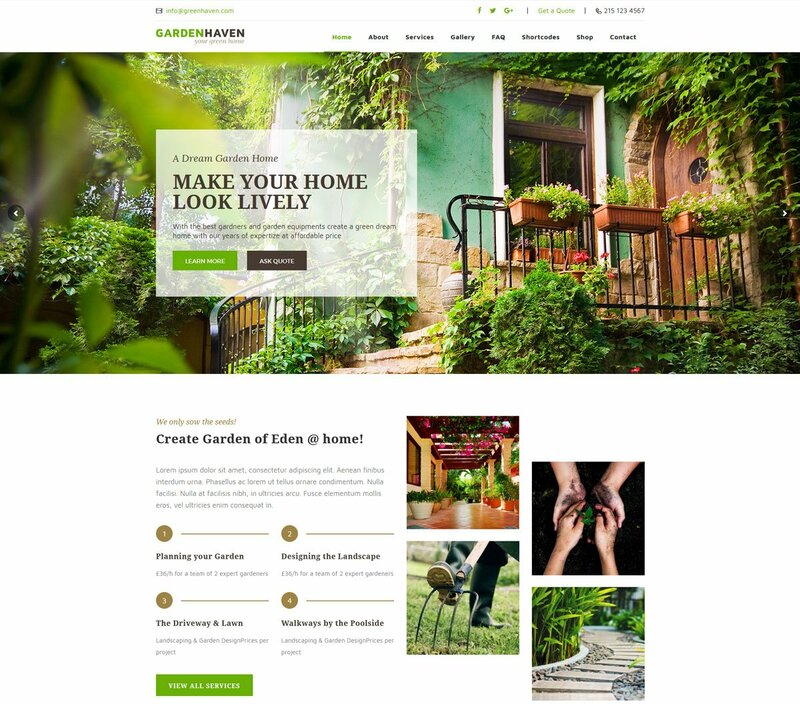 GreeNova is well crafted responsive modern WordPress theme for landscaping business, garden and lawn services. In addition, it can be used in landscape architects, agriculture companies, small nursery, ecology and related sites. The theme is introduced neoteric features for gardening sector. More customizable and really it is ready to fill up your demand whatever you want. Now you get four pre built homepage but upcoming days it will be increased. Every latest version will be given, if you purchased this theme. GreeNova offers you “twenty seven” amazing inner page layout. It has different variety header style for giving you more opportunity to choose your favorite header according to match with your site. Retina ready display is included here to remove your hesitation about high quality image. You just upload it. Unlimited color and SEO friendly make more unique of your garden related site. Here is not ended the features of Greenova, for more just click the link! 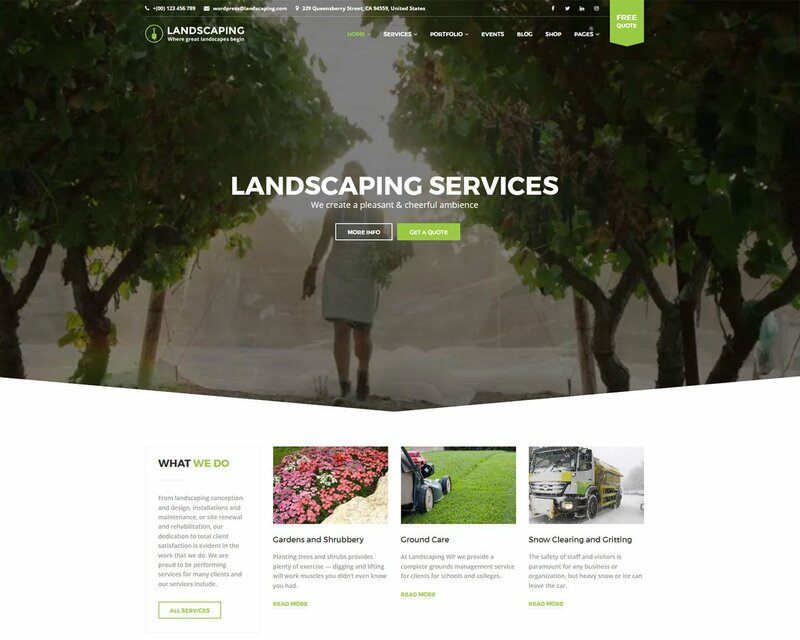 The Landscaper is considering clean premium Gardening & Landscaping WordPress theme for landscaping business. In addition to, you are allowing using in agriculture, Lawn Services Business and similar industry. This theme is developed in such a way so that you can easily make your site within a matter of minute. The Landscaper gives opportunity to design your site in term of your choice with the help of drag & drop page builder. You can present your project in beautiful way because the option is given here. The Landscaper must have responsive feature so that it is suitable for the entire device. For more details please see the features!! Though Gardening is a simplistic, it contains modern features. The theme is well suited for gardening and landscaping, nursery, flower shop. For an example if you are interested in garden and want to make site in garden or nursery. You will get all necessary features for your site such as gallery, price list, previous task, team info etc. all of this features are included here. Gardening has two versatile beautiful home pages. It has fully responsive features. Gardening make you automatically specialist in managing theme though you having no experience in coding. It offers you appointment schedule, if you are interested to add your site. For more inquiry about Gardening, please see details! 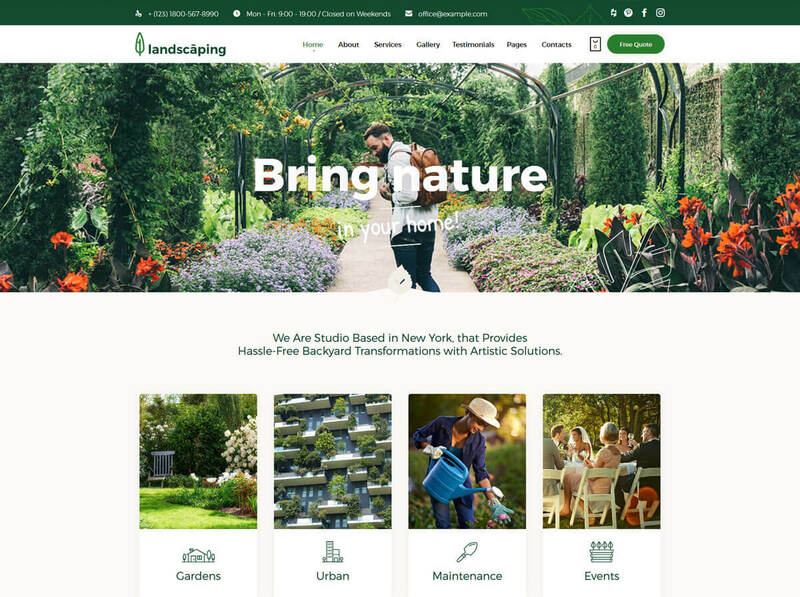 Landscaping is a lovely best Gardening & Landscaping WordPress theme for gardening and landscaping & other similar site with a unique attributes. The theme design made based on landscaper or garden related. Therefore Landscape Architects, Groundskeepers, Florist meet their need by this theme. Landscaping has some key features. Live customizer is among of theme and through this you may allow to modify your website lively. In addition to, there are powerful theme option, drag and drop page builder, one-click demo etc. You may have a question that is how can you believe? We have a huge number of customer and our dedication team is always ready to give service. You will also get money back guaranty within 30 days. So now why not you will keep with us! 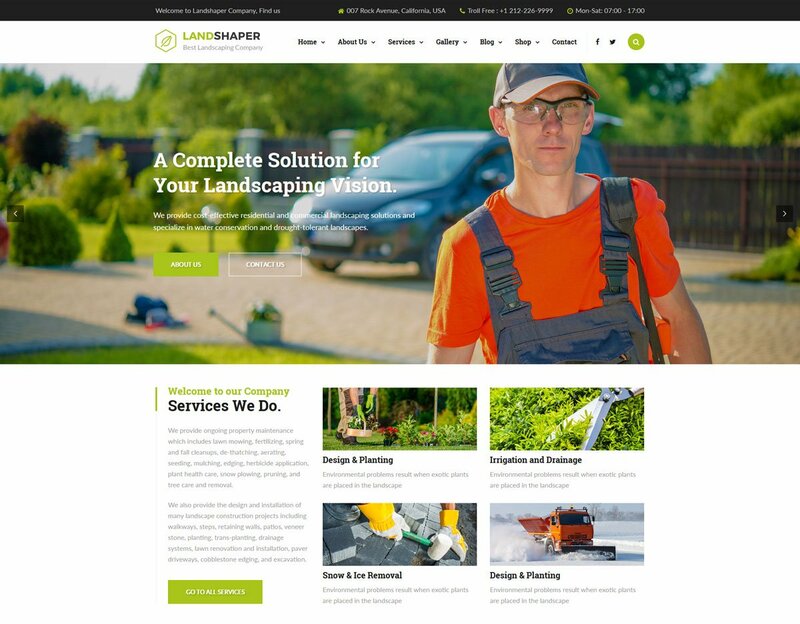 Landscaping WP is come with a WordPress theme for landscaping business, lawn, garden etc. The theme is responsive and contains all the modern facility. You may have a lot of option for changing the header of your site like may use transparent or some other sty e. More interesting thing of this theme is pre-build demo. This is helping you to make a suitable site within a short time. Landscaping WP is having WooCommerce supported system for doing online business. It has amazing “fancy event” plugin. With help of this plugin you may start count down for upcoming event. Landscaping WP make their theme fast & speedy. Therefore the loading speed is high. For more specific inquiry you must visit! 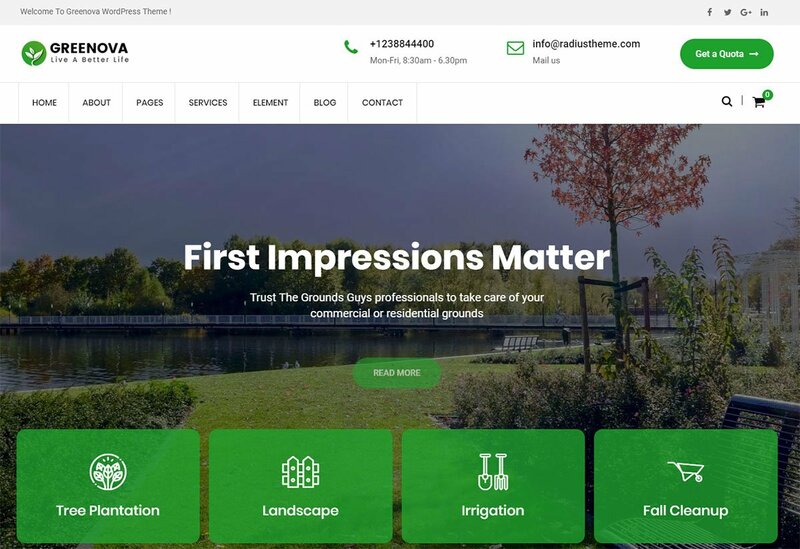 Garden HUB is launching a greatest Gardening & Landscaping WordPress theme for landscaping business, Lawn Services Business, Landscape Architects, Groundskeepers, Gardeners ad similar type of industry. Garden HUB is a perfect WordPress demo for gardening or landscaping. You will get multiple demo for your landscaping site or which one you want to make. Without having coding knowledge you will able to make your dream through Garden HUB. You will get multi location Google map for your head office as well as branches. Contact form 7 is available in this theme. In addition some most useful plugin are getting free with Garden HUB. Let’s see the detail features of Garden HUB! 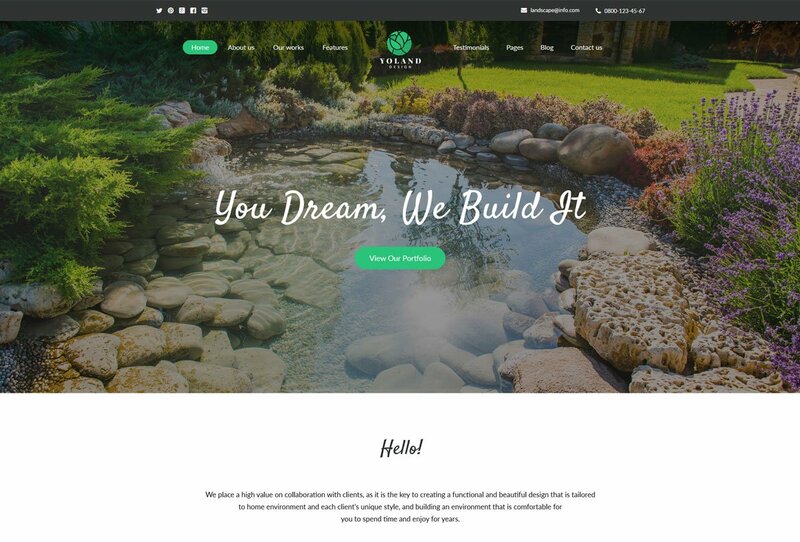 Yoland is bringing with some modern innovative WordPress theme for landscaping business. You may solve your thirsty of uniqueness. Because ample of amazing features are available here. The creative design brings satisfaction smile on your face. Yoland offer your two different home pages. It has update version of WooCommerce and thorough you will able to do online business. The retina ready display make clear display of your target audience and responsive features must have with this. Yoland offer such an premium plugin like revolution slider, visual composer, essential grid etc. These are help to organize your site pro perly. Yoland is waiting with more features for you , let’s check it ! 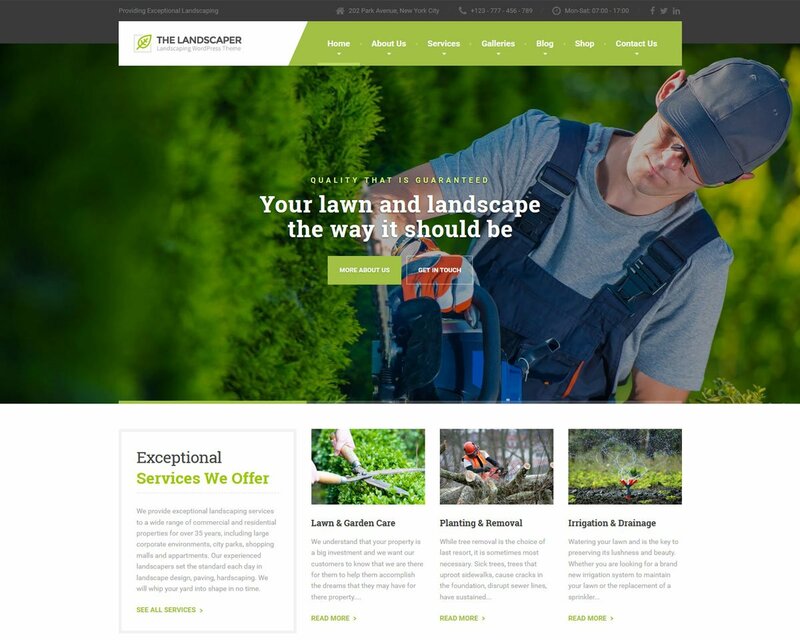 The Landshaper design a good quality Gardening & Landscaping WordPress theme for landscaping business, Lawn Services, Gardening Business, lumberjack, flowers and relevant field. The concept of this theme design is very gorgeous because it has responsive layout. You can use visual composer for making easily page builder. Slider revolution , visual composer and more getting free with The Landshaper. Gardener is developed in such areas like, Lawn Services, firewood, lumberjack, gardening and landscaping and related field. It is premium WordPress theme along with rich features option. Gardener is suitable at any screen with good quality. This is possible only for responsive & retina ready features. The satisfaction level of customers is higher while they are seeing good display at their small device like mobile phone or tablet etc. Gardener give a an opportunity to save up to $55 in the case of some necessary premium plugin. SEO mind is consider here to make this theme. The purchaser gets the PSD file with this theme. Let’s do a great deal with Gardener! 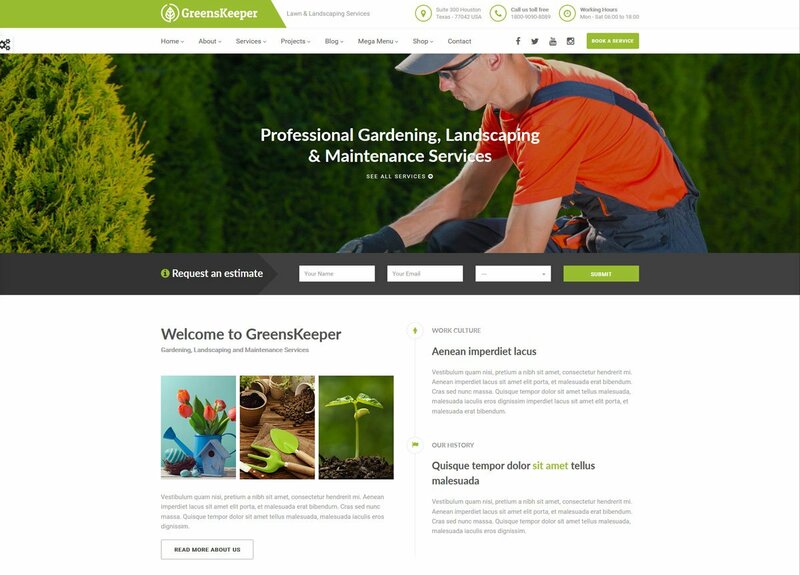 GreensKeeper is business oriented WordPress theme especially for specific area like gardening and landscaping and relevant field. The theme is fully functionally along with some neoteric features. Responsive feature is not avoiding here. Therefore, you can see your website from any device like smart phone. GreensKeeper has a multiple header style along with awesome inner page. Twitter bootstrap is included here for making responsive layout. GreensKeeper offer you mega menu, which is “built in”. Fifteen hundred plus retina ready icon, limitless color option and so more features are having with this theme. In addition to, good customer service is providing in the case any problem. Let’s see the features of GreensKeeper !